Written by Mark Gallagher. The article was initially published on the webpage of the China Policy Institute. Since the early 1980s, Tony Leung Chiu-Wai has been one of Hong Kong’s most prolific talents. While Leung’s acting output slowed in the 2000s, his work on collaborative productions, particularly in mainland China, offers insights into Chinese film-industry practices and suggests strategies successful film workers have used to navigate that fast-growing industry. Leung gained popularity in the 1980s thanks to lead and ensemble roles in a series of long-running dramas on Hong Kong’s TVB network. Alongside and following his television work, he starred in scores of Hong Kong romantic comedies, dramas and martial-arts films, most targeting the territory’s film-loving domestic market but also circulating within East Asia and to the international Asian diaspora. He also starred in regional productions from Taiwan and Vietnam, and earned international visibility thanks to roles in films from Hong Kong director Wong Kar-Wai, long celebrated in global art house circuits though without a strong presence at the Hong Kong or mainland-Chinese box office. Leung remains active in local Hong Kong issues, for example pledging his support for the pro-democracy Occupy Central protesters in 2014. Like many of his fellow Hong Kong film actors, though, in the past decade his career has pivoted toward the mainland. Following the 2003 signing and 2004 implementation of the Mainland and Hong Kong Closer Economic Partnership Act (aka CEPA), Hong Kong filmmakers gained preferential, quota-free access to the mainland market, particularly for films with mainland co-production elements such as financing, casting and location production. 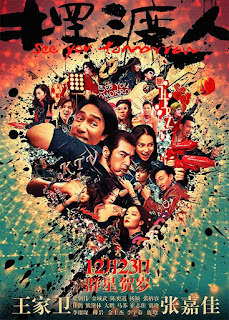 The exponential growth of China’s film exhibition sector in the 21st century has meant that many Hong Kong performers now reach their largest audiences by far in Mandarin-language mainland releases, typically with native Cantonese speakers (such as Leung) dubbed by other voice actors in post-production. In his recent work, Leung has balanced roles that allow him to embody aspects of the relaxed cosmopolitanism characteristic of Hong Kong culture, with roles that explicitly promote Chinese nationalism of ethnic, cultural and political stripes. From 2007’s "Lust, Caution" to the upcoming holiday-season release "See You Tomorrow", Leung has starred only in co-productions with mainland companies. (He also played a small role, masked, in the 2016 Bhutanese drama "Hema Hema: Sing Me a Song While I Wait".) The Hong Kong/China co-production "The Great Magician" (2011) casts him as a charismatic ladies’ man, and of course magician, who teams up with proto-revolutionaries to outwit Japanese adversaries in the period before the Second Sino-Japanese War. In "The Silent War" (2012), Leung plays a blind man with exceptional hearing, recruited by a Chinese-government counter-espionage unit in the wake of 1949’s Communist revolution, and this time seeking to thwart the efforts of murderous KMT agents. Then, in "The Grandmaster" (2013), Leung takes on the now-trendy role of martial-arts master Ip Man (the subject of at least five other popular China/Hong Kong releases since 2008, including three vehicles for US-born star Donnie Yen, now a top earner at the mainland box office). 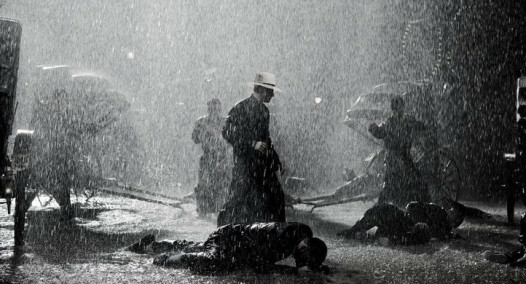 With the film tracing in part Ip Man’s migration from Foshan in Guangdong (aka Canton) province to Hong Kong, and with Chinese cultural nationalism celebrated throughout, "The Grandmaster" offers an uncontroversial, philosophically-oriented version of Chinese history. The film moves Leung’s ability to perform thoughtful restraint and Wong’s interest in Hong Kong’s history toward a register in accord, if not in lock-step, with contemporary Chinese Communist Party ideological guidance. All of the films performed strongly at the box office in mainland China, while few garnered particular success outside East Asia. ("The Grandmaster" played in more than 800 US theatres, for example, but barely cracked the top 150 releases of the year there, and neither "The Great Magician" nor "The Silent War" received theatrical releases in North America or Europe beyond festival screenings.) Each of these roles too echoes in ways the contested politics of Leung’s most internationally successful engagement with the mainland, the 2002 hit "Hero", with Leung as a one-time revolutionary who in the film’s final act embraces nationalist sentiment and supports China’s imperial ambitions (if in the space of the historical past, separated from contemporary concerns by more than 2,000 years). "The Grandmaster" also capitalises on the mainland market’s continued appetite for historical martial-arts films, a form that since 2000 has attracted many major Chinese diasporic filmmakers, many whose work otherwise has not involved wuxia or martial-arts content. As for the US-based Ang Lee with "Crouching Tiger, Hidden Dragon" (2000), the mainland’s Zhang Yimou with "Hero", and later, Taiwan’s Hou Hsiao-Hsien with "The Assassin" (2015), "The Grandmaster" shows that mainland and regional filmmakers and investors continue to regard the historical martial-arts form as a space for creative expression as well as a site of likely return on investment. While China’s film industry and policymakers have supported historical and martial-arts films with strategies such as locking foreign imports out of key holiday-season release windows, wuxia and other period films have not recently topped the mainland box office. Animated films such as 2015’s "Monster Hunt", comic fantasies such as Stephen Chow’s 2016 mega-hit "The Mermaid", and imported Hollywood sequels such as "Furious 7" (2015) and "Transformers: Age of Extinction" (2014, nominally a US/China co-production) have instead dominated exhibition, as have domestic comedy/dramas such as "American Dreams in China" (2013), "Finding Mr. Right" (2013, aka From Beijing to Seattle) and its 2016 sequel. In this climate, then, we find, perhaps unsurprisingly, actor Leung and filmmaker Wong Kar-Wai once again. Leung next stars in "See You Tomorrow" (aka "The Ferryman" as of this writing), the first adaptation of stories from mainland writer Zhang Jiajia, a prolific author of web-based fiction who also debuts as director. The film and its producers seek to capitalise on China’s current vogue for online stories, while also playing to moviegoers’ interest in stories about contemporary, young (or at least for the 54-year-old Leung and 43-year-old co-star Takeshi Kaneshiro, youthful), urban professionals. The film also avowedly hybridises mainland and Hong Kong cultural materials, with writer-director Zhang claiming that the film ‘tells a Wong [Kar-Wai]-style story using the approach of Stephen Chou’ (i.e. Stephen Chow, the mainland-born comedic actor-director who rose to fame particularly through a series of so-called nonsense comedies in 1990s Hong Kong). Leung’s broad, mugging performance seen in the recently released trailer makes use of comic skills displayed extensively in 1990s film comedies though not much in evidence in his prior mainland work aside from "The Great Magician". Wong, originally rumoured to direct though finally named just as producer, has also framed the film as not a break from his past interests but as a return to form of sorts, marking the 25th anniversary (or so) of his Jet Tone Films production company, whose first release was the 1993 action-comedy "The Eagle Shooting Heroes", also starring Leung. The 1993 film was made to provide cash flow for Jet Tone as Wong delayed completion of the film eventually released as "Ashes of Time" (1994). "See You Tomorrow" represents a perhaps more notable industrial milestone, as the first production of the recently formed Alibaba Pictures, the film division of the Chinese e-commerce giant Alibaba. Alibaba has also become involved in distribution of US studio sequels—including Paramount’s "Mission: Impossible – Rogue Nation" (2015) and "Star Trek Beyond" (2016)—and is developing projects with US producers. Closer to home, its next production will be the sequel to Stephen Chow’s "Journey to the West" (2013), this time with direction from Hong Kong’s Tsui Hark, who has also recently overseen mainland hits, particularly 2011’s "Flying Swords of Dragon Gate", which set records for a Chinese IMAX-format release. With "See You Tomorrow", Alibaba invests in other human resources that have proven saleable in the fast-changing Chinese market and culture: a popular web-fiction creator and a mobile star who represents the bridging of traditional and contemporary sensibilities, and who represents a Hong Kong that seeks to accommodate its now culturally dominant neighbour. "See You Tomorrow" may also be notable for keeping its star’s Cantonese identity off-screen. As a report from state-run broadcaster China Radio International (CRI) remarks, ‘Leung said he practiced Mandarin Chinese a lot, as this is the first film he’s done that’s required him to speak Mandarin only’. Whether an emerging trend or a single actor’s one-time effort (or an inaccurate assertion from a state media organ), a move to Mandarin filming rather than post-production dubbing suggests another way mainland China’s film industry might use, or limit, performers from Hong Kong’s highly developed screen industry. Dr. Mark Gallagher is Associate Professor of Film and Television at the university of Nottingham. He is a Resident Senior Fellow at the China Policy Institute and author of Tony Leung Chiu-Wai (BFI/Palgrave: 2017). His current research focuses on contemporary US, East Asian and global cinema and television, with particular interests in East Asian cinema (particularly Hong Kong’s and China’s), American independent cinema, film stars in global context, screen authorship, production cultures, and film and television industries.